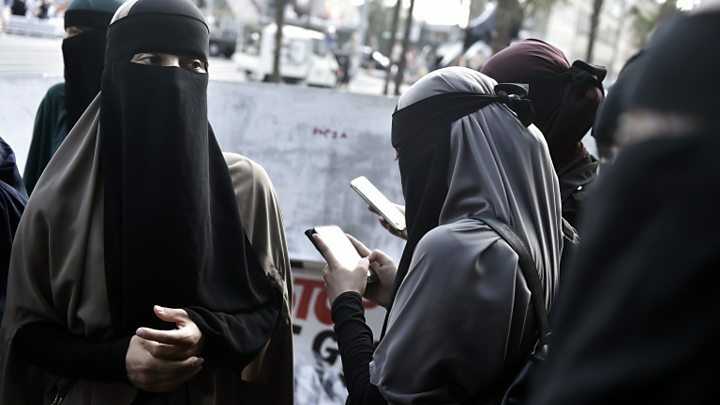 The UK’s largest Muslim organisation is calling on Theresa May to ensure the inquiry into Boris Johnson’s burka comments is not a “whitewash”. According to the Guardian, the Muslim Council of Britain will tell the prime minister “no-one should be allowed to victimise minorities with impunity”. Mr Johnson is facing an investigation after saying women in burkas looked like “letter boxes” or “bank robbers”. He did not respond to the row in his latest newspaper column. The Muslim Council of Britain’s letter, seen by the Guardian, said it was “hopeful” that the party “will not allow any whitewashing of this specific inquiry currently in process”. The council previously said the support shown to Mr Johnson from Tory MPs had “shone a light on the underbelly of Islamophobia” within the party. The organisation added that it had received Islamophobic hate mail referring to former foreign secretary Mr Johnson’s comments. 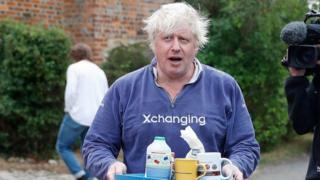 Mr Johnson – who returned home from his holiday in Italy over the weekend – has not yet responded to the row. In his latest column in Monday’s Daily Telegraph – one week on from his original comments about the Muslim full-face veil – Mr Johnson did not mention the issue but instead chose to write about housing. Earlier, he refused to answer the questions of journalists waiting outside his Oxfordshire home, saying he had “nothing to say about this matter” except to offer out cups of tea. The Conservative Party launched its disciplinary investigation after receiving dozens of complaints about Mr Johnson’s remarks. But others – including Brexiteer backbencher Jacob Rees-Mogg and comedian Rowan Atkinson – have expressed support. Should they be upheld, the complaints will then be looked at by an independent panel which could refer Mr Johnson to the party’s board, which has the power to expel him. On Friday, in a separate investigation into a complaint, the UK’s equalities watchdog said Mr Johnson’s remarks were “inflammatory and divisive” and his comments risked “vilifying Muslim women”.